Rimac wiped the slate clean when it approached the engineering of its second-generation electric supercar, the Rimac C Two, focusing on efficiency and aerodynamics to achieve its incredible claimed zero to 60 mph time of just 1.85 seconds and top speed of 258 mph. 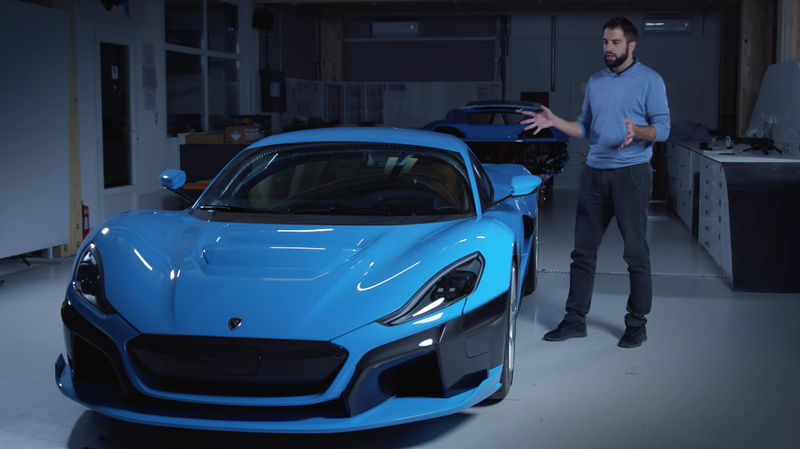 Rimac changed the balance of the aerodynamics on the car with a new active rear wing, active rear diffuser, front intake and an adjustable blade in the hood. The tests were done first in a supercomputer, and then reevaluated using a full-sized model that featured spinning wheels and active aero parts to test the car in all conditions before production. The real-world wind-tunnel tests only had 2.4 percent variation from the computer generated models of the same tests, which is a fairly incredible degree of accuracy. Something else interesting made its way into the video, as Road & Track pointed out—you can spot a convertible version of the insanely powerful 1,914 horsepower C Two on the screen. I shudder to imagine what kind of damage that wind can do to me at top speed.